We are at an environmental impasse. Many blame our personal choices about the things we consume and the way we live. This is only part of the problem. Different forms of social power - political, economic and ideological - structure the choices we have available. This book analyses how we make social and environmental history and why we end up where we do. 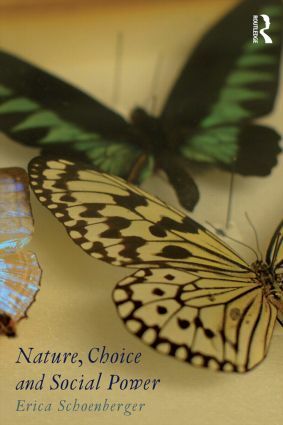 Using case studies from different environmental domains – earth and water, air and fire – Nature, Choice and Social Power examines the form that social power takes and how it can harm the environment and hinder our efforts to act in our own best interests. The case studies challenge conventional wisdoms about why gold is valuable, why the internal combustion engine triumphed, and when and why suburbs sprawled. The book shows how the power of individuals, the power of classes, the power of the market and the power of the state at different times and in different ways were critical to setting us on a path to environmental degradation. It also challenges conventional wisdoms about what we need to do now. Rather than reducing consumption and shrinking from outcomes we don’t want, it proposes growing towards outcomes we do want. We invested massive resources in creating our problems; it will take equally large investments to fix them. Written in a clear and engaging style, the book is underpinned with a political economy framework and addresses how we should understand our responsibility to the environment and to each other as individuals within a large and impersonal system.